It has been said that dogs are man's best friend, but how deep does that connection go? 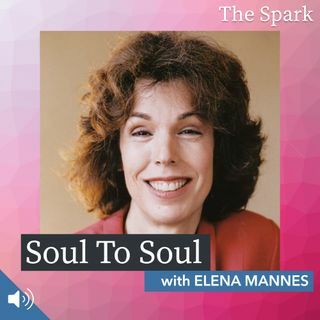 In a thought provoking interview with Elena Mannes, we go deep into realms of exploring how we are truly bonded to our furry friends. Elena Mannes is a television and film producer with numerous awards, including 6 Emmy Awards for her documentaries. In her new book, Soul Dog, she takes us into the depths of understanding animal communication and the amazing bond we share. Taking us beyond our five ... See More senses, Elena explores the connections we share that transcend space and time.